Andrew’s Garden is known to be THE place to go for unique and beautiful school dance flowers! Our Prom, Homecoming, Turnabout and Daddy/Daughter Dance flowers are custom designed with our young clients in mind. 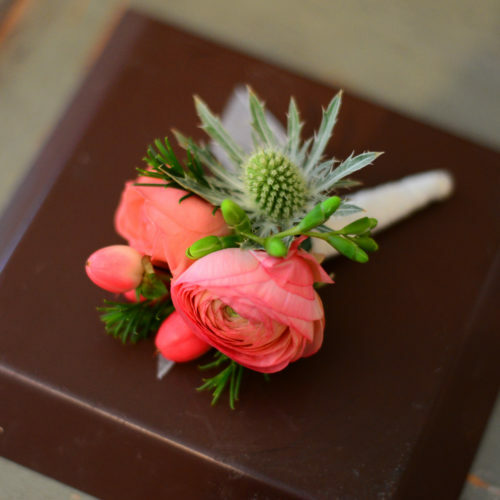 Each nosegay bouquet, corsage or boutonnière is uniquely designed with premium blooms and accessories. For Homecoming and Turnabout, most schools in our area wear wrist corsages and boutonnières. Prom flowers vary from school to school, but most carry Nosegays instead of wearing a wrist corsage.